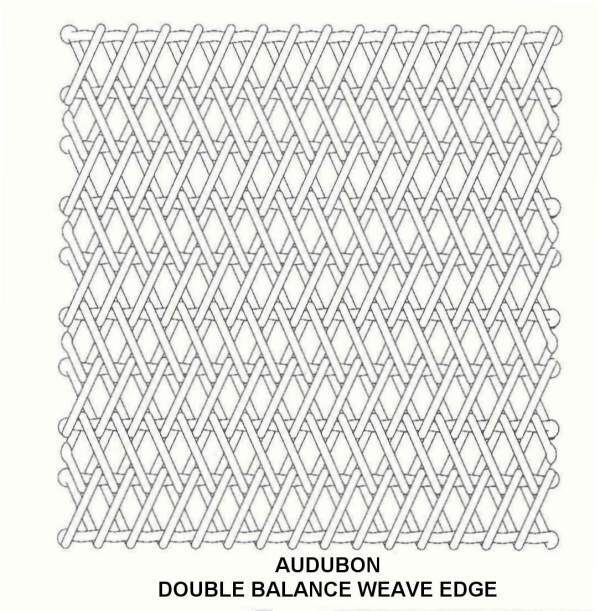 Audubon Universal Weave ....all purpose, high temperature. 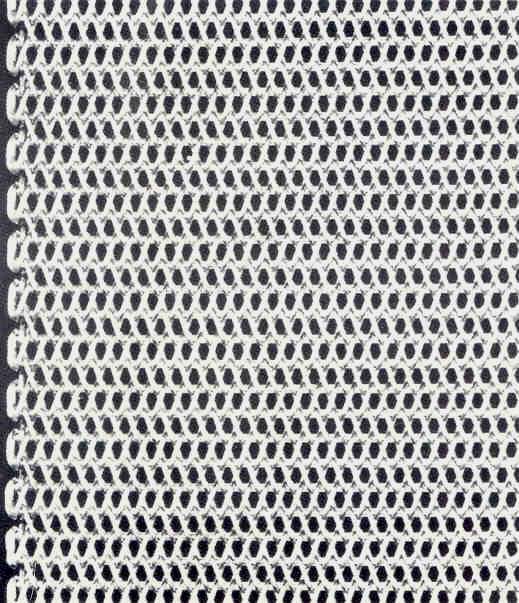 Combines the best characteristics of all weaves. 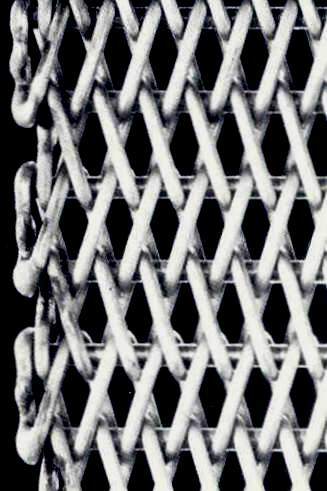 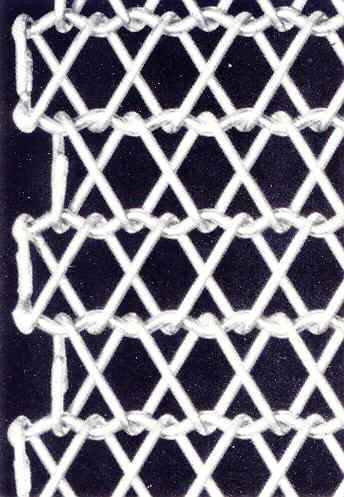 The spirals are interwoven, alternating right and left hand for straight running, and joined by crimped or straight rod connections. 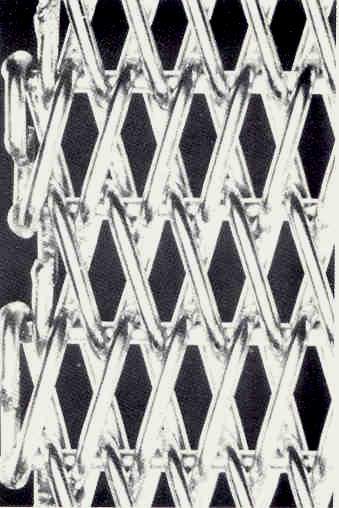 The equal and opposite stress forces in Universal Weave mesh belts make it true running for traction or positive drive. 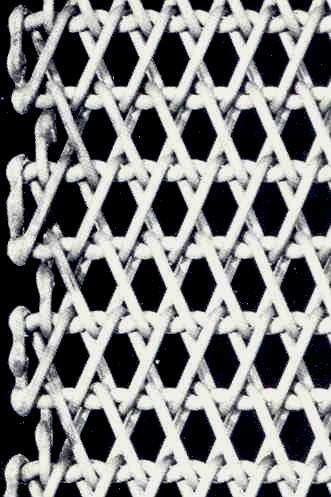 It has a remarkably smooth conveying surface. 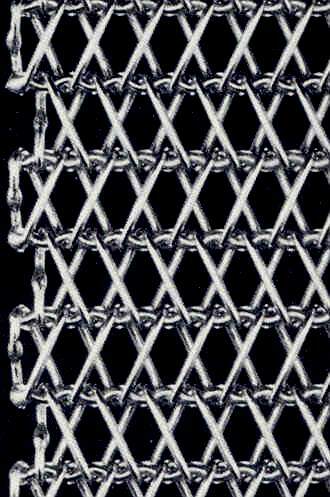 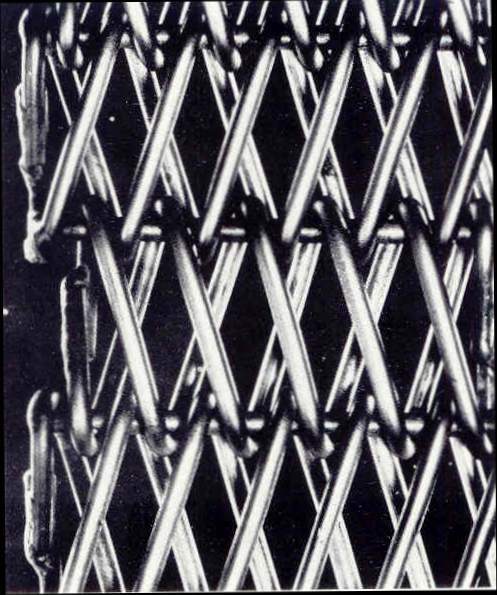 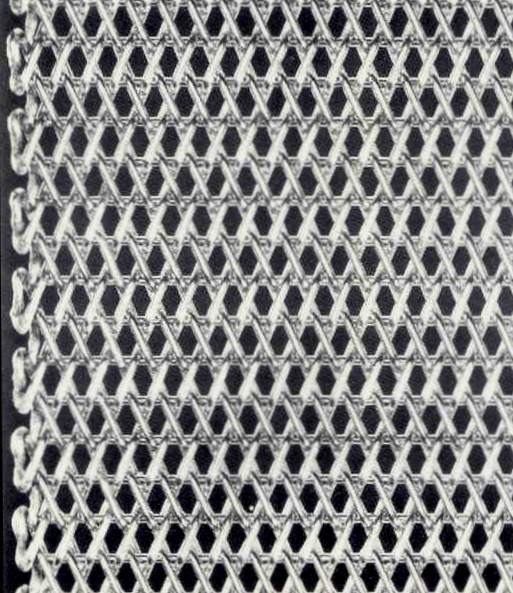 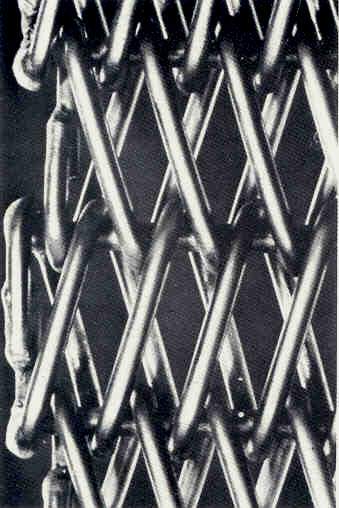 It's manufactured with the same design as a truss girder, so it stretches less than any other wire mesh belt, even under high temperatures and stress. 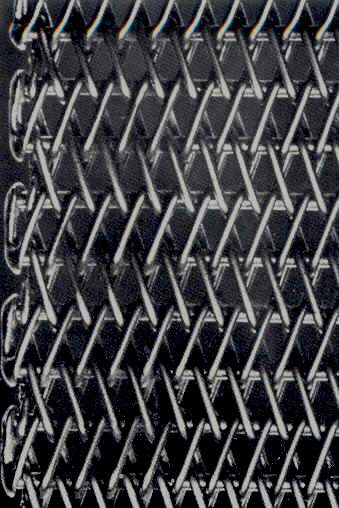 Universal weave metal conveyor belts will carry your product without slipping. 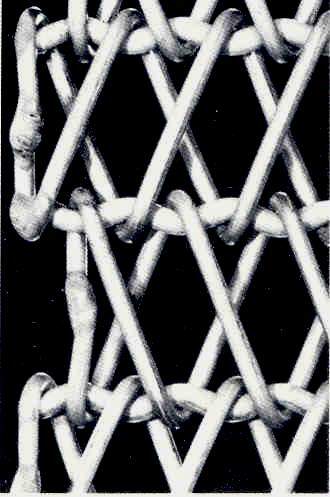 But in the event of a pile up, it will slide smoothly beneath without grapping or jamming. 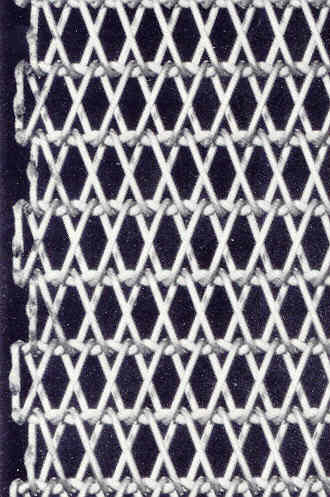 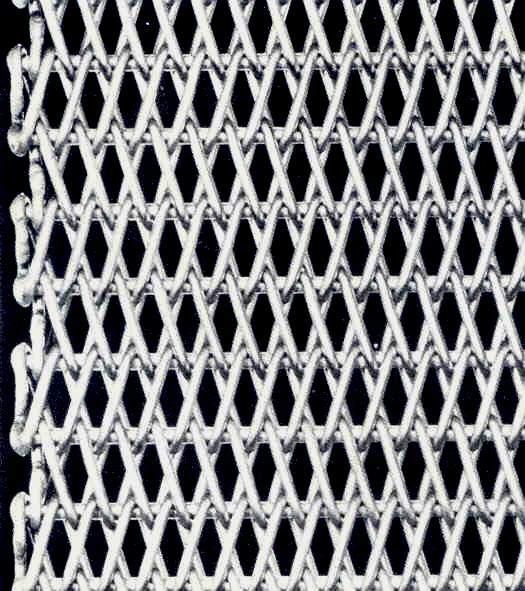 Plenty of air circulation and easy drainage are some of the assets a universal weave conveyor belt (previously known as the double balance weave belt). 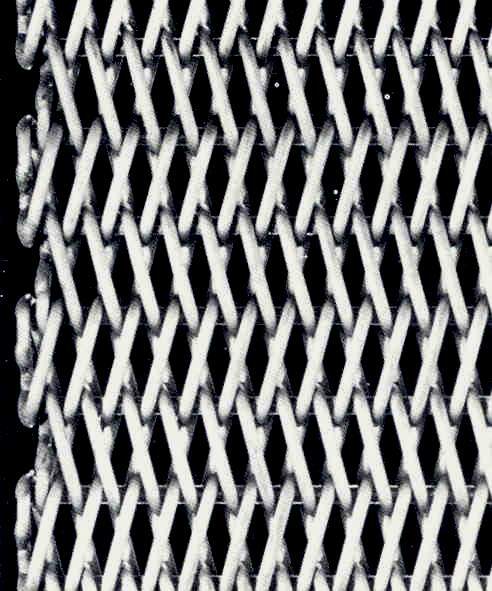 Applications: The Universal Weave provides a smooth conveying surface and excellent air circulation and liquid drainage. 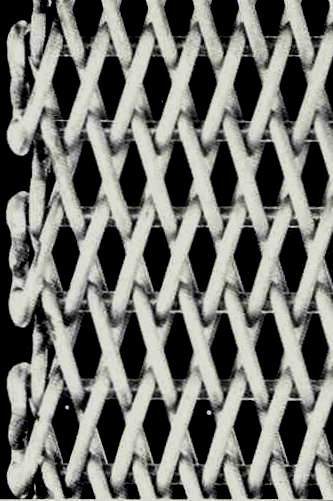 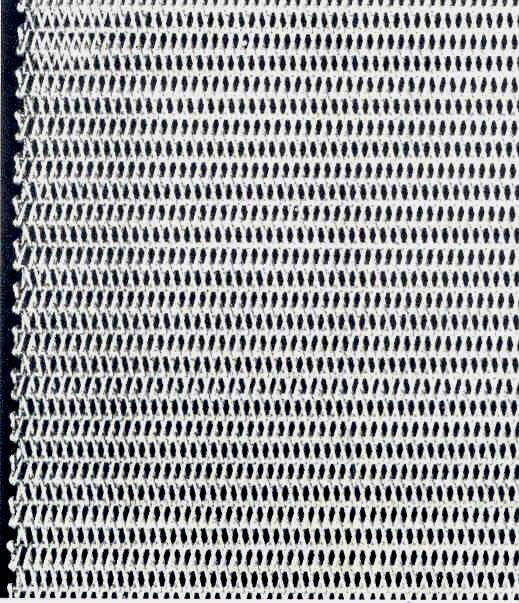 Universal weaves can be used at temperatures of -40 Degrees F to 2100 Degrees F. Typical applications include glazing ceramics, copper brazing steel parts and cooking, baking and cleaning in the food processing industry. 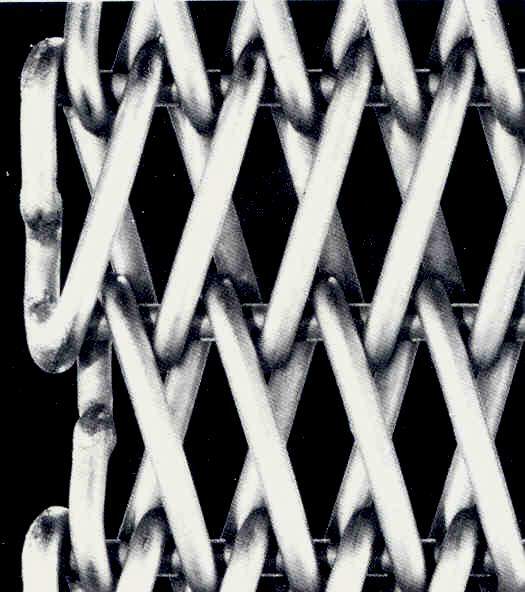 "Conveyor Belt Manufacturer Since 1884"